In celebration of International Women’s Week, Sarasvàti Productions will be presenting a series of monologues and slam poetry entitled Here I Am March 9 at the Asper Centre for Theatre and Film. Over the past two decades Sarasvàti Productions has been at the forefront of helping emerging artists develop their craft within Winnipeg’s theatre community. Its International Women’s Week cabaret of monologues has been running since 2003. 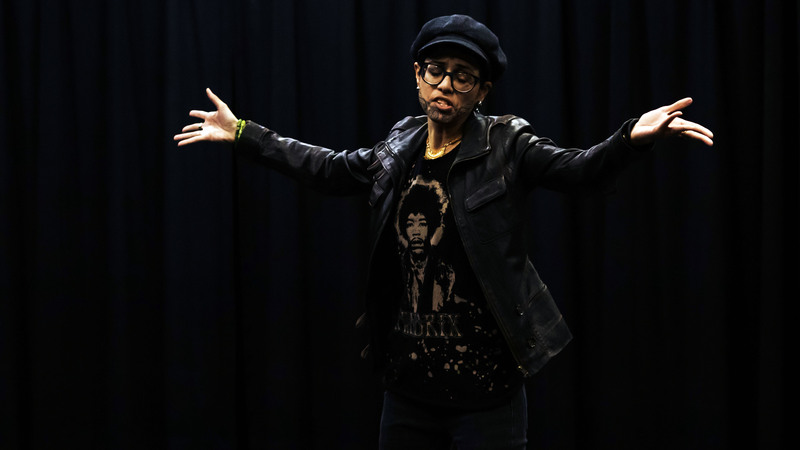 For this year’s cabaret, artistic director Hope McIntyre has gathered nine local female performers who will stage spoken word and performance pieces. The nine performances are interconnected by the theme of women asserting their identities despite adversity. One featured performer, Shereen Ramprashad, will be presenting her slam poem “I Am NOT a Victim.” Ramprashad wrote the piece in 2016 as a response to the racism and sexism toward the Muslim community in Quebec during the debate over whether Muslim women should be allowed to wear the hijab. “It just got me thinking that ‘Wow, women are damned if they do, damned if they don’t,’” said Ramprashad. Ramprashad said her experience as a cancer survivor helped her shape her self-perception. “This poem is a kind of commentary on how women are perceived in eastern media, through social expectations, through ourselves, and then saying ‘No, that does not define me,’” she said. Her poem shows how women’s identities must be explored outside of their perceived status as perpetual victims. Another featured performer, Amelia Warkentin, will perform a monologue from the play The Lightfishers by Leslea Kroll. Taking place in a psych ward, the audience follows Chris, who is recovering from trauma and meth addiction. The monologue delves into the character’s anxiety surrounding her impending release from the ward. “I also have to convey the power of addiction in general, and how devastating that can be on the rest of your life but also on the lives of those around you,” she said. The piece depicts a woman trying to reconnect with her identity when she realizes she will be returning to the outside world once more. Brooklyn Alice Lee will be exploring how honesty plays into identity with her featured monologue from the play Sunday Morning Brunch by Ivy Charles. Lee will be playing Josephine, a 17-year-old lesbian. Josephine has decided to introduce, at Sunday brunch, her girlfriend to her Christian family and pastor, who are unaware that she is gay. “I think the most important part of the piece is just about not feeling alone,” said Lee. “My character, though she’s very honest about who she is to herself, she’s still unsure of how her family will react and I think that she feels this loneliness in her nervousness. “I want to just convey that you’re not alone, no matter what you’re going through, no matter what you’re feeling, there’s somebody out there who understands, and that becomes evident throughout the piece,” she said. Here I Am seeks to present varied aspects of female identity to illustrate how diverse women really are. “I absolutely think that it’s important we have a lot of women performing different pieces from various backgrounds and ethnicities, different sexualities, so it’s all about embracing what makes you you and embracing your identity,” said Lee. Here I Am will be performed March 9 at 4 p.m. and 8 p.m. The cabaret will also be touring around Winnipeg and Manitoba from March 3 to 10. For more information and to purchase tickets visit sarasvati.ca/season/iww-2019-cabaret-of-monologues.